The world’s subways systems, and transit systems in general, have a special place in my heart. Back when I was still a novice crayon user, I drew trains all the time. Every blank piece of paper I could find, at some point during its lifetime, would be decorated with a lovely set of tracks and a happy little choo-choo. Thomas the Tank Engine? The Little Engine that Could? Practically my best friends. Since then, I’ve grown to appreciate what trains really have to offer. Somewhere around this time last year, I had the opportunity to sample Berlin, Paris, and London’s subway systems. And most recently, I’ve gotten a more-than-fair dose of Chicago’s CTA. Each system has a distinct charm, something that makes it a little different from the next. 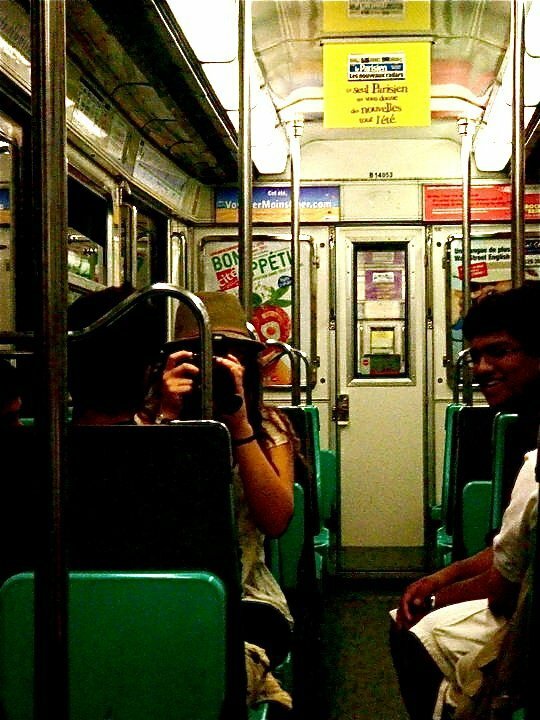 But at the same time, subway culture seems to follow a template regardless of where you go. Just add a populous city, and you’ve got an interesting place where there’s a constant flux of people, a place where strangers, even if briefly, are united by the rail. While in Berlin, the twenty of us AP European History alumni got to use the U-Bahn every day. Alexanderplatz was the station closest to our hotel and became somewhat of a North Star as we ventured into the depths of beautiful Berlin. And that’s the thing about subways: it’s really, really hard to get lost with them around. Not sure where you are? Head to a station—because they’re literally around every corner—hop on train, and head towards something that looks familiar. Every station has a friendly name, everything’s color coded, and when that’s not enough, just know that strangers are, for the most part, not mean. Something I’ve always found interesting is how the station names fit the locale. For example, in Berlin, there was Alexanderplatz, Rohrdamm, Lankwitz—all very German sounding. In Paris, there was Saint-Lazare, Vaneau, Chaussee d’Antin La Fayette. In London: South Kensington, Knightsbridge, and of course, King’s Cross. Not to mention, Chicago, where the names are deliciously American ones like Harold, Wilson, and Sheridan. Just to name a few. Saint-Lazare was our North Star on the Parisian Métro and South Kensington was such during our time with the London Underground. All hipster jokes aside, the concept of being underground—and going from Point A to Point B while remaining entirely below the Earth’s surface—is as incredible as it is convenient. The roar of the city doesn’t find its way down there. And being a subway passenger is somewhat like being part of an exclusive club of tunnel travelers. While aboard, there’s a silent understanding that everyone has somewhere to go. And although the people across from you might be complete strangers, the realization that you’ll never meet or see them ever again as you get out of your seat is sometimes uselessly somber. Then again, that’s probably just me. 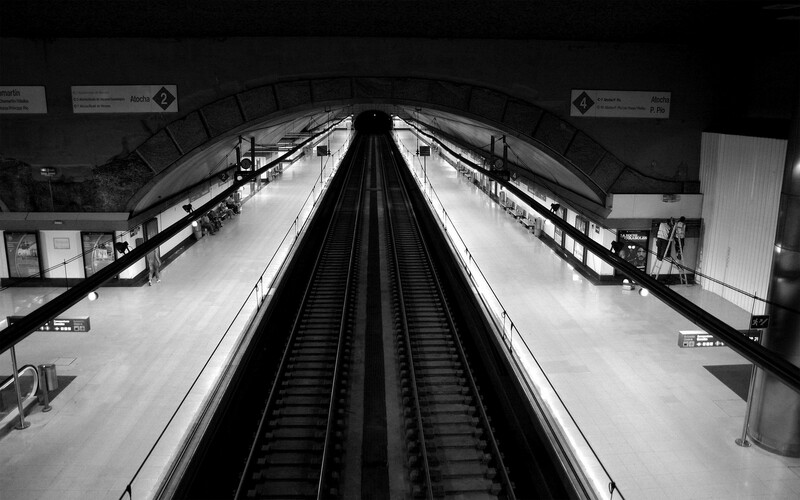 Platforms themselves are a big part of subway culture. It’s not uncommon to find a street performer beating away at their steel drums or making the subterranean air dance with quick fingers and an accordion. It’s essentially a whole new world down there, sometimes with specialized food courts but always with a unique micro-culture. It’s a realm that busy people from the surface only fleetingly enjoy. Added to the bucket list: ride New York’s MTA and Tokyo’s Tokyo Metro.